Call 571-267-1767 to schedule your first appointment. If you're suffering from hearing loss, you don't have to feel embarrassed or stop participating in events around you. 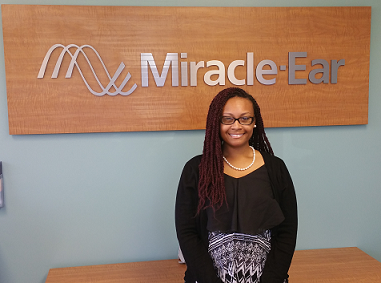 Miracle-Ear® hearing aids in Sterling, VA, can make all the difference. Discover and experience the Miracle-Ear advantage and reclaim your life. With more than 1300 locations nationwide, we're America's most recognized brand of hearing aids, and we offer dependable state-of-the-art solutions. We're an independently owned and operated location backed by a trusted national brand. With over 70 years of experience developing hearing aids, we offer industry-leading technology in all our hearing aids. Our GENIUS™ Technology is an example of the best combination of innovations available today. GENIUS™ Technology employs High Definition Digital Sound and lets you focus on the conversations you want to hear. It allows you to move from one acoustic environment to another with ease because all the features work together automatically to give you a seamless listening experience. The benefits of Miracle-Ear hearing aids are many, and the variety of models we offer is unmatched. No matter what your lifestyle, we have a quality option for you. Do you avoid social events due to hearing difficulty? Do you often feel that people are mumbling? Do you have trouble following conversations if more than two people are involved? At the Miracle-Ear hearing aid center in Sterling, we're a team of dedicated Hearing Care Specialists who want to give you lasting hearing improvement. Get in touch with us today to learn more about what we have to offer. Don't worry about making an initial commitment, because we’ll give you a 30-day, risk-free trial†.